The perfect seating solution for larger and taller people. A special office chair with heavy duty construction and stronger parts, not found on your typical office chair, and engineered to last. The seat and back cushions are proportioned larger for greater comfort. The Bariatric style chair features an extra large seat for very tall people and those people who need a wider and deeper seat. Another robust, ergonomically designed Task Chair with a special emphasis on a larger seat cushion to suit large framed people. Features an extra large seat for tall people and those who need a wider and deeper seat. Designed specificially for the larger framed person in mind; this quality task chair has all the ergonomic features, plus a larger seat cushion to provide superior comfort and support for the user. Features an extra large seat for people who need a wider and deeper seat cushion. A quality task chair with a specific design feature of a stylish square back to suit users who need a larger chair with a prominent lumbar (back) support. 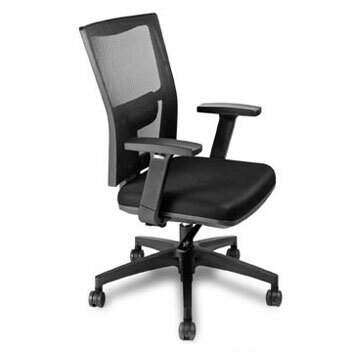 The popular Theta 100 Task Chair is packed with ergonomic features to ensure superior comfort and support. It is particularly recommenced by occupational therapists for its pronounced lumbar support. A favourite office chair with many Occupational Therapists when considering quality, robust construction, superior support and custom fit for their clients. 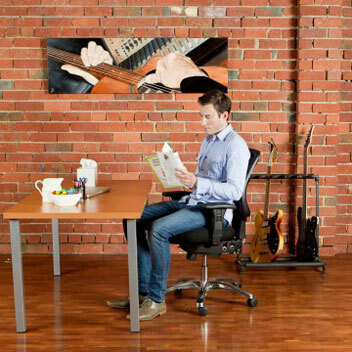 Designed especially for office workers who require a more prominent lumbar (back) support. Combine this with the popular Theta’s fully loaded ergonomic features and you have the ideal task chair for this ‘specific needs’ user. Highly recommended by occupational therapists. The Hydra mesh office chair is new to Bad Backs, and is really setting a blaze with its stylish good looks, together with its fully loaded ergonomic features and competitive price. Featuring a modern look mesh back with clean square lines.